Ask a lot of modern collectors what their first foray into the world of comic trading cards and they'll point to 1990 Impel Marvel Universe. The comprehensive set became a blueprint for what followed in the years and decades that followed. 1990 Impel Marvel Universe has a 162-card checklist. The first half is dedicated to individual cards and heroes. The second half includes several subsets that focus on teams, rivalries and classic comics. Borrowing from the world of sports cards, there are six "rookies" dedicated to new and relaunched properties. Besides colorful character-focused artwork on the front, card backs include extensive write-ups. These include vital stats such as their real name, battle stats and first appearances. In 1990, inserts were only starting to catch on. 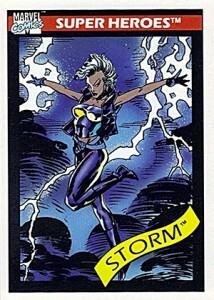 Holograms led the chase in 1990 Impel Marvel Universe. Inserted approximately one per box, there are five different cards in the set. They're very basic compared to what would hit the hobby around the same time. 1990 Impel Marvel Universe is far from rare. But nostalgia and the overall quality of the set has kept box and set prices from completely bottoming out like a lot of other trading card releases from the era. 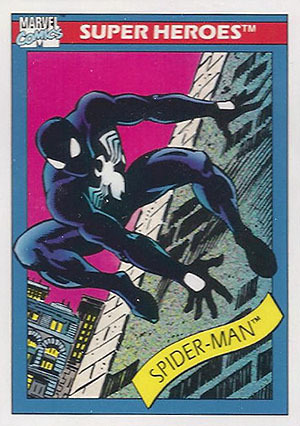 1990 MARVEL UNIVERSE SERIES 1 VENDING MACHINE PRISM STICKER #11! PHOENIX X-MEN! Lot Of 144 marvel universe trading cards 1990 Including Holograms!! Rare!look! 5 cards. Inserted 1:36 packs. How much is it worth the marriage of jean grey and cyclops? I have a question about a #17 grey hulk card that i have it is an error card does this make it worth more because it probably is the only one??? 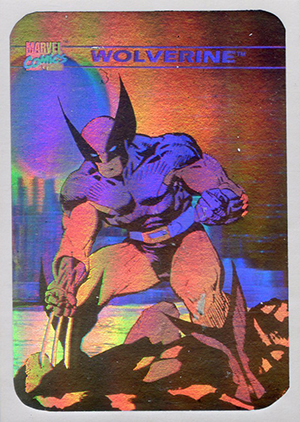 I have the 1990 marvel set Iv noticed a large price difference in the hologram cards which appear the same by looks can you tell me what the difference is in the high dollar hologram cards vs. the cheaper ones other than the obvious condition of the card.